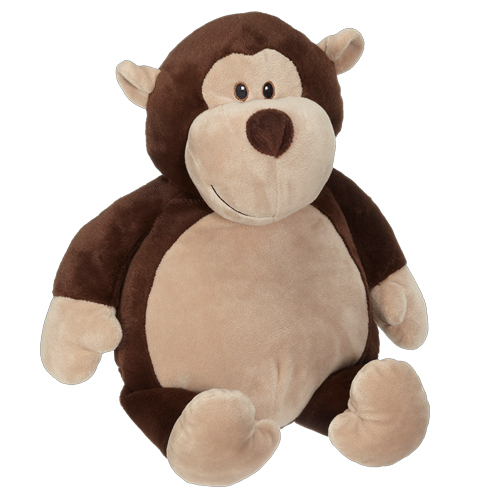 This 16” mischievous Monty Monkey Buddy is full of fun! Meet our adorable personalized plush pal!!! Soft cuddly special life long friends! Makes the PERFECT gift for any occasion! Birthdays-Birth Announcements- Anniversary- Angel Baby Gifts- Baby Shower Gift- Going away Gift- Grand baby gift- Makes a great little friend for a person sick in the hospital/ or at home, Christmas gift. An over a great way to show and send love! We can embroidery practically whatever you want on the tummy of your favorite plushy! Add bottom stitching for just $8!